Hi! 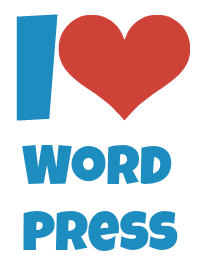 I would like to welcome you to my blog. This will be an interesting blog since this is part of a requirement I need to submit to my mentor, Sir Jomar Hilario which I myself don’t know what lies ahead on my journey of becoming a Filipino Virtual Assistant (FVA). As I learn new skills, tools and programs needed to be an effective Virtual Assistant (VA), I will share it here and you will witness how I will evolve on becoming one. Why do I specifically mentioned Filipino Virtual Assistant (FVA)? Because I’m proud to be a Filipino and many client foreigners look for Filipino VAs because of our creativity, honesty and our ability to manage projects. This is according to existing Filipino VAs as mentioned by Sir Jomar in his seminar I downloaded. 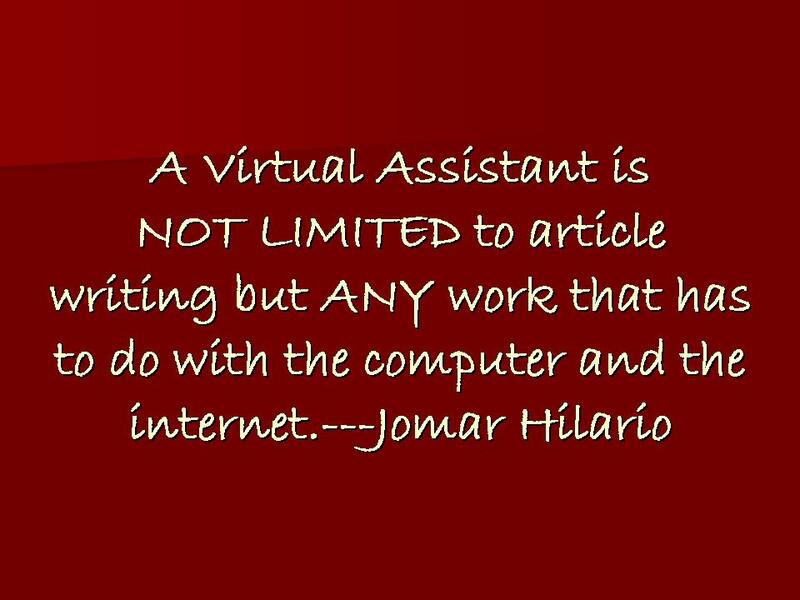 In a recent webinar I attended with Sir Jomar, I believed many were enlightened when he mentioned that being a Virtual Assistant is NOT limited to those who write articles. It gives hope to those who are not so good in article writing but have other computer and internet skills which only needs to be developed to qualify as a Virtual Assistant. That is why, to be called a versatile Virtual Assistant, one should not stop from learning new skills, especially skills that are highly paid to be able to evolve as a Virtual Assistant. March 9-10, 2013, Saturday-Sunday, 9am – 6pm for those in Davao and nearby areas. March 16, 2013, Saturday, 9am – 6pm for those in Manila and nearby areas. Visit http://bit.ly/filipinovatraining for the details. Posted on February 1, 2013, in Filipino VA, Jomar Hilario, Virtual Assistant and tagged Filipino Virtual Assistant, Jomar Hilario. Bookmark the permalink. Leave a comment.